There's no electricity on the episode "Power Down." 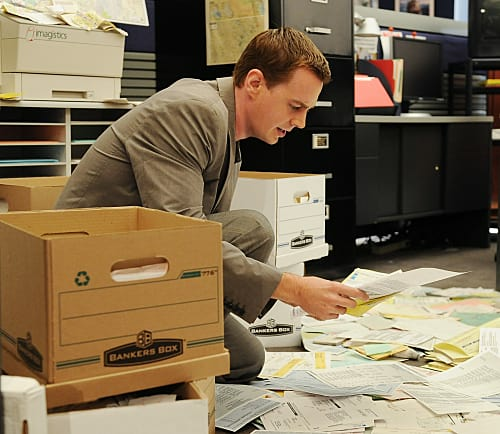 So McGee was actually sort through documents by hand. 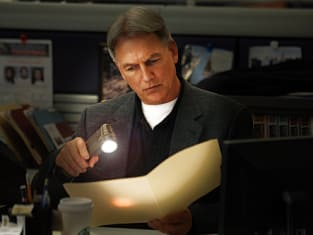 NCIS Season 7 Episode 8: "Power Down"
Abby: I'll get some corpses! Tony: Nice Hawaii Five-O reference, boss. Permalink: Book 'em, Dan-ozzo. Nice Hawaii Five-O reference, boss.